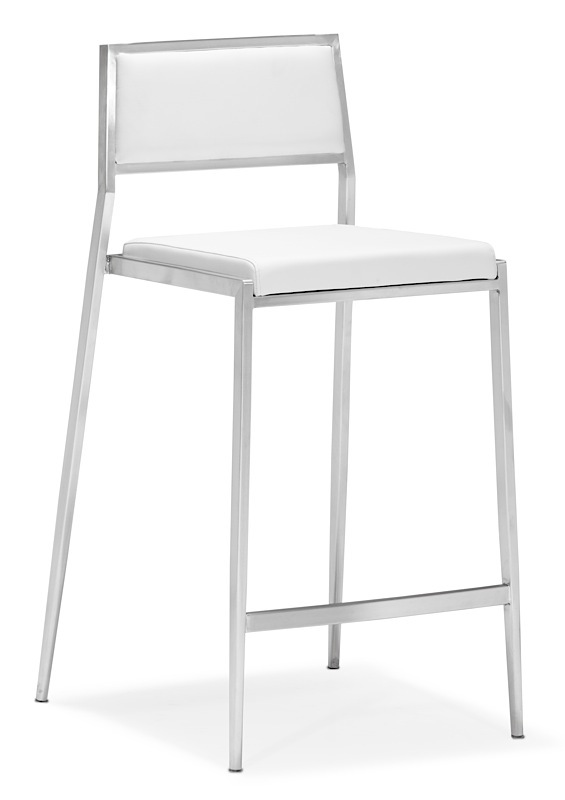 Simple and elegant in design, the Daniel Counter Stool is a beautiful addition to any dining space. 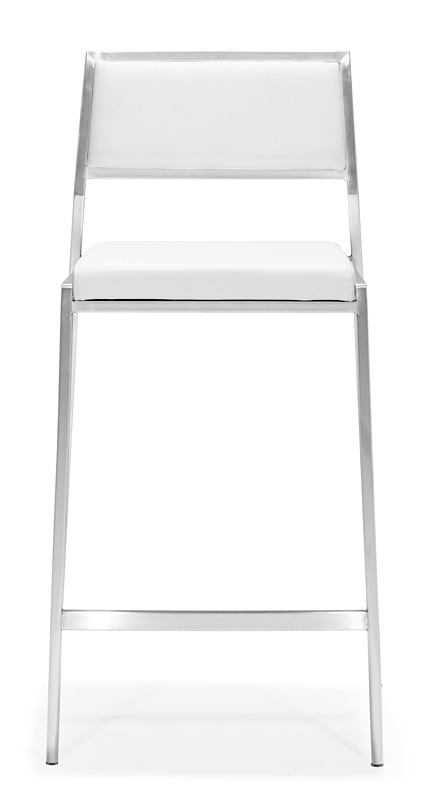 Designed and manufactured for commercial use, the Daniel features a stainless steel frame supporting your choice of black or white leatherette seat and back, both cushioned for comfort. 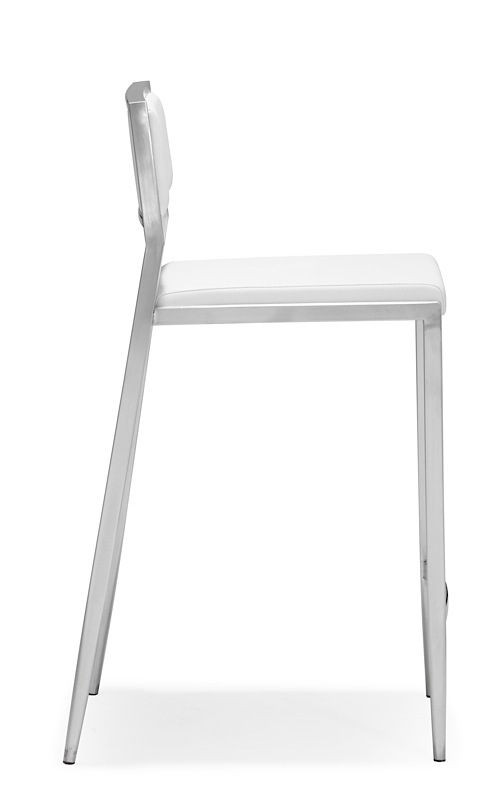 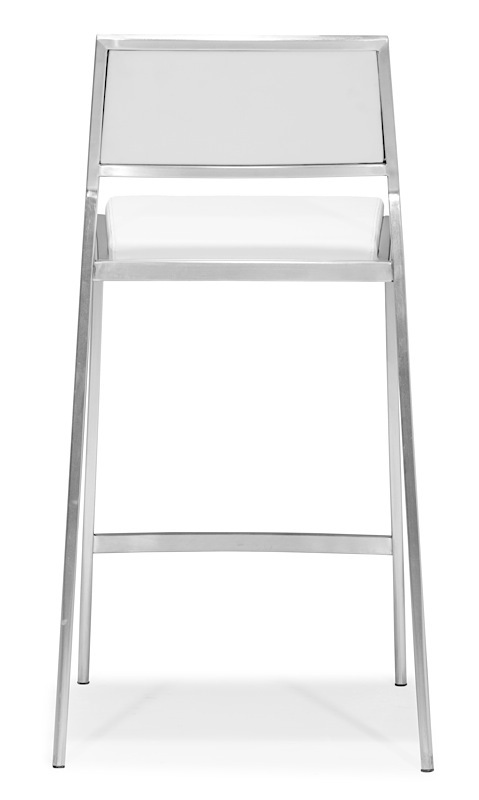 With a 26-inch seat height, Daniel is best suited for counter height dining tables or 36-inch high kitchen counters. 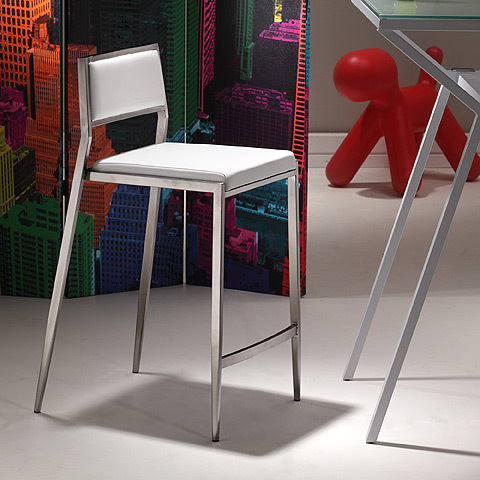 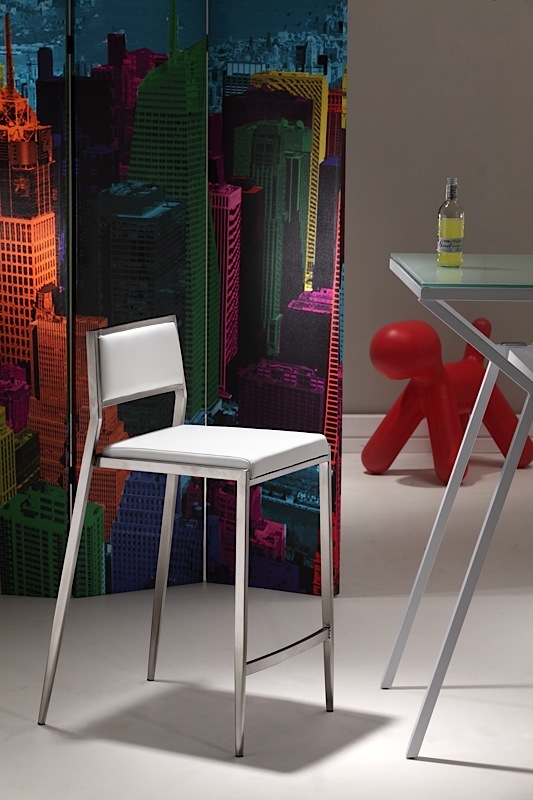 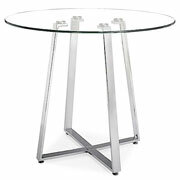 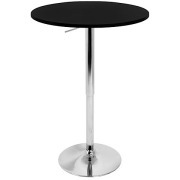 The Daniel Counter Stool is priced individually, and only sold in MULTIPLES OF TWO (2).